For other people named Robert Green, see Robert Green (disambiguation). * Senior club appearances and goals counted for the domestic league only and correct as of 22:14, 18 October 2016 (UTC). Robert Paul Green (born 18 January 1980) is an English professional footballer who plays as a goalkeeper for Championship club Leeds United. He has played for the England national team. Green made his first-team debut for Norwich City in 1999 and totalled 241 appearances across all competitions for them, making the PFA Team of the Year when they won the First Division in 2003–04. In 2006, he transferred to West Ham United, making the same number of appearances in a six-year spell in which he was their Player of the Year in 2008 and won promotion via the Championship play-offs in 2012. He then moved on a free transfer to Queens Park Rangers, winning the play-offs again in 2014. In July 2016, Green joined Leeds United on a one-year contract. 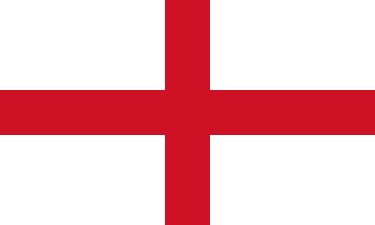 Green represented England at under-16, under-18 and B level. He made his debut for the full England squad in 2005. Green was cut from England's 2006 FIFA World Cup squad due to injury but featured in the 2010 edition, in which he started the competition as England's first choice goalkeeper but was dropped after an error cost England a win against the United States. He was also in their squad for UEFA Euro 2012. Born in Chertsey, Surrey, Green came through the youth system at Norwich City. He made his first-team debut in the First Division on 11 April 1999, keeping a clean sheet in the 0–0 East Anglia derby draw against rivals Ipswich Town at Carrow Road. However, first-team opportunities were restricted by the presence of first-choice goalkeeper Andy Marshall and it was not until Marshall's departure in the summer of 2001 that Green was able to establish himself as first choice goalkeeper for Norwich. He was a star of the 2001–02 season play-off campaign which culminated in a final loss to Birmingham City on penalties. During the extra time period of this match Green saved an effort from Geoff Horsfield from point blank range. By 2003, Green was a key figure in the Norwich team. He played a key role in helping Norwich into the First Division championship in 2003–04 and promotion into the Premier League. The Norwich number one was once again ever present, keeping another 18 clean sheets and conceding just 39 goals in 46 league appearances. Green put in many match winning performances during the season. These man of the match displays included home fixtures with Derby County and Stoke City; he pulled off a save from Gerry Taggart during the latter. Performances of this high standard led to his first England international call up for the friendly in March 2004 versus Sweden. He was also included in the PFA First Division XI for the season. Norwich were relegated into the Championship the following season. Green kept just 6 clean sheets and conceded 77 goals during the Premier League season despite many excellent individual performances. England coach Sven-Göran Eriksson continually picked Green for international squads on merit. After relegation Norwich struggled to adjust back to Championship football. It proved to be Green's worst season as Norwich's number one, keeping just seven clean sheets in 42 league appearances. Green missed the last few matches of 2005–06 after he sustained an injury in the warm-up prior to the away fixture against Sheffield Wednesday. In August 2006, Norwich accepted a bid of up to £2 million from West Ham United for Green. Green signed a four-year deal with West Ham United, where he teamed up with former Norwich striker, Dean Ashton who had been sold to West Ham in January 2006. Green made his debut for West Ham on 19 October 2006 in a 1–0 defeat against Tottenham Hotspur at White Hart Lane. Two of his best performances were when West Ham won 1–0 against Arsenal at the Emirates Stadium and against Manchester United where he helped his team to a 1–0 win, which preserved West Ham's Premier League status. Green kept nine clean sheets in 26 appearances during the league season. In 2007–08, Green saved the first three penalties taken against him. The first, against Kevin Doyle of Reading, the second, Benjani of Portsmouth in injury time, and the third from Tottenham’s Jermain Defoe, again in injury time. The streak was ended by James McFadden of Birmingham City on 9 February 2008. He played in every match and was named the West Ham Hammer of the Year with the Irons finishing in a respectable 10th place in the Premier League. In 2008–09, Green saved yet another penalty, this time on 30 August 2008 against Jason Roberts of Blackburn Rovers, West Ham then went on to win the match 4–1. In May 2009, Green saved a Steven Gerrard penalty, although Gerrard scored from the rebound and Liverpool won 3–0. Green played all 38 league matches for West Ham in that season, keeping ten clean sheets. And again played in all 38 league matches for West Ham in 2009–10, keeping eight clean sheets and saving yet another penalty, this time from Aston Villa's Ashley Young in a 2–1 victory. Green made 44 appearances in all competitions during 2010–11, keeping seven clean sheets. He saved a penalty in a 3–1 victory over Wigan Athletic at Upton Park and then again against Stoke City in a 2–1 FA Cup defeat. On 19 March 2011, Green made a magnificent save against Gareth Bale's free kick in the 0–0 draw with Tottenham Hotspur. He was named Hammer of the Year runner-up with Scott Parker eventually winning the award. Green was sent off for the first time in his club career. against Blackpool on 21 February 2012. West Ham, who had not named a substitute goalkeeper in their squad for the match, were forced to play the remainder of the second-half with midfielder Henri Lansbury in goal. They eventually won 4–1. West Ham later won an appeal against the red card leaving Green available to play in their next match. He played 42 of West Ham's 46 match 2011–12 Championship season playing in the play-off final at Wembley Stadium which West Ham United won, sealing their immediate return into the Premier League. In June 2012, having failed to agree new terms with West Ham at the end of his contract, Green's departure from the club was announced. Green agreed terms with Queens Park Rangers (QPR) on 21 June 2012, and joined on a free transfer on 1 July, on a two-year contract. He made his debut on 18 August 2012 in a 5–0 home defeat by Swansea City. 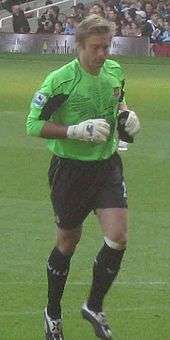 Green played only two more matches for QPR before manager Mark Hughes signed Brazilian international Júlio César; although Green played the next match against Manchester City, this was only because Júlio César's work permit was not complete and the Brazilian started the following match, against Chelsea on 15 September 2012. After the sacking of Hughes, new manager Harry Redknapp replaced Julio César with Green at half time during his first match in charge, against Sunderland on 27 November 2012. Green then went on to play the next five matches. before being once again relegated to the bench for most of the next 4 months, only starting three matches between 26 December and 20 April, two FA Cup matches in January then coming on when Júlio César was injured in the victory over Southampton and playing the following match as the Brazilian recovered. Redknapp said following Green's third successive start in the loss to Arsenal that for the remainder of the season he "want[s] to play Rob Green" and that Green "will probably be [his] goalkeeper next season", as he expected Júlio César to be sold over the summer. At the start of 2013–14, Green was named as first choice goalkeeper for the opening matches of the season. Green was a member of the QPR team that won the 2014 Championship play-off Final, 1–0 against Derby County at Wembley Stadium on 24 May 2014. After a single season back in the Premier League, QPR were relegated after a 6–0 away defeat to Manchester City on 10 May 2015, Green's fourth relegation from the Premier League. Earlier in the season, on 26 December, he saved an early penalty in an eventual 2–1 loss to Arsenal, as his teammate Eduardo Vargas pointed out which way fellow Chilean Alexis Sánchez was likely to shoot. After starting 2015–16 as QPR's first choice goalkeeper, Green was frozen out the starting line-up one match after the arrival of new manager Jimmy Floyd Hasselbaink due to a clause in his contract triggering a contract extension if he played 30 Championship matches. With QPR wanting to reduce the wage bill, Green left the club upon the expiry of his contract at the end of 2015–16, after a move to Premier League club Crystal Palace fell through in the January transfer window. On 6 July 2016, Green signed a one-year contract with Championship club Leeds United. On 7 August 2016, Green made his Leeds debut against QPR in a 3–0 defeat, in which he failed to punch a ball from a corner leading to a Sol Bamba own goal. Green was the match winner in the next match on 10 August 2016 in the League Cup against Fleetwood Town, when he saved a penalty from Fleetwood's Eggert Jónsson in a 5–4 penalty shoot-out victory after a 2–2 extra-time draw  His first clean sheet came on 20 August 2016 in a 2-0 win against Sheffield Wednesday. Green earned his first call-up to the full England squad in 2004 while at Norwich. On 31 May 2005, he became the sixth Norwich player to wear the Three Lions shirt when he appeared as a half-time substitute for David James in a 3–2 friendly win against Colombia at Giants Stadium in the United States. Green remained in the England squad despite Norwich having been relegated into the Championship in 2005, and was selected for the England 2006 FIFA World Cup squad. However, he ruptured his groin whilst taking a goal kick during the England B international against Belarus on 25 May. He was replaced in the squad by Liverpool's Scott Carson. The injury not only meant that Green missed the FIFA World Cup but also the start of 2006–07. After a prolonged absence from the international scene, Green was called up for the England "B" match in May 2007 and then named in the senior England squad to face Brazil and Estonia in June 2007. He did not make Fabio Capello's first England team in February 2008. Green showed a sense of humour about the international situation, sporting gloves with 'England's No.6' embroidered on them. He was recalled to the squad in place of the injured Chris Kirkland for England's friendly with France on 26 March 2008. On 6 June 2009 Green made his first England start in their 4–0 win in Almaty against Kazakhstan in a 2010 FIFA World Cup qualifier. He played for England against Croatia on 9 September 2009 with England securing a place in South Africa with a 5–1 victory. On 10 October 2009, he became the first ever England goalkeeper to be sent off, during the penultimate match of qualification against Ukraine, for a professional foul on Artem Milevskiy early in the match. England went on to lose 1–0. Green was named in England's squad for the 2010 FIFA World Cup. Manager Fabio Capello opted not to name his first choice goalkeeper until the day of England's opening match, against the United States on 12 June, at which point he selected Green to start. After England went into a 1–0 lead, Green failed to save a long-range shot from USA midfielder Clint Dempsey in the 40th minute. The incident saw the ball bounce on and off Green's gloves and go over the goal line. This is known as his World Cup mistake. The match ended in a 1–1 draw. Following this error and an unconvincing final training session on 17 June, Green was dropped. He was replaced by David James who played in England's next match, a 0–0 draw against Algeria on 18 June. He did not appear again in the World Cup and was omitted from the first England squad named after the tournament for a friendly against Hungary. Green was brought back into the squad for the Euro 2012 qualifier against Montenegro in October 2010. On 16 May 2012, new England manager Roy Hodgson named Green as part of his 23-man squad for UEFA Euro 2012. On 26 May, he made his first appearance since the World Cup, and kept a clean sheet as England defeated Norway 1–0 in a friendly. In the summer of 2008, Green climbed Mount Kilimanjaro during a charity event for AMREF (the African Medical and Research Foundation). He has stated that former Stoke City reserve team goalkeeping coach Martin Phelan inspired him to become a goalkeeper after a talk at Green's primary school. He is a fan of Woking and cited the club's long-time custodian Laurence Batty as another goalkeeping inspiration. 1 2 3 4 5 Hugman, Barry J., ed. (2010). The PFA Footballers' Who's Who 2010–11. Edinburgh: Mainstream Publishing. p. 176. ISBN 978-1-84596-601-0. 1 2 "Games played by Rob Green in 1998/1999". Soccerbase. Centurycomm. Retrieved 17 September 2016. ↑ "Green signs new Canaries deal". BBC Sport. 24 January 2001. Retrieved 11 May 2008. ↑ "Green pens Norwich deal". BBC Sport. 30 June 2004. Retrieved 11 May 2008. ↑ "Fulham 6–0 Norwich". BBC Sport. Retrieved 15 September 2014. 1 2 "Hammer Green eyes England recall". BBC Sport. Retrieved 15 September 2014. ↑ "Tottenham 1–0 West Ham". BBC Sport. Retrieved 15 September 2014. ↑ "Green fingers revive Hammers' prospects". The Guardian (London). 9 April 2007. Retrieved 23 June 2007. ↑ "Manchester United v West Ham United, 0–1" Archived 14 June 2007 at the Wayback Machine.. Premier League. 13 May 2007. Retrieved 23 June 2007. ↑ "Reading 0 West Ham 3". Sporting Life. Archived from the original on 2 December 2007. Retrieved 3 May 2010. ↑ "Portsmouth 0 West Ham 0". Sporting Life. Archived from the original on 2 December 2007. Retrieved 3 May 2010. ↑ "West Ham 1 Tottenham 1". Sporting Life. Archived from the original on 5 August 2011. Retrieved 3 May 2010. ↑ "West Ham 1 Birmingham 1". Sporting Life. Retrieved 3 May 2010. 1 2 "Green is Hammer of the Year". West Ham United F.C. Archived from the original on 24 November 2008. Retrieved 28 April 2010. 1 2 "Welcome to the Wonderful World of West Ham United statistics Robert Green". Westhamstats.info. 18 January 1980. Retrieved 28 April 2010. ↑ "Robert Green Player Profile". West Ham United F.C. 18 January 1980. Archived from the original on 25 August 2011. Retrieved 21 August 2011. ↑ "West Ham United's Robert Green Commits Another Howler After Red Card". www.huffingtonpost.co.uk. Retrieved 1 July 2013. ↑ "Blackpool 1–4 West Ham". BBC Sport. Retrieved 17 September 2016. ↑ "West Ham United keeper Robert Green's red card overturned". guardian-series.co.uk. 23 February 2012. Retrieved 23 February 2012. ↑ "Championship 2011–12". westhamstats.info. Retrieved 13 June 2012. ↑ "Blackpool 1 West Ham 2". Sporting Life. 19 May 2012. Retrieved 13 June 2012. ↑ Scott, George (4 June 2012). "ROBERT GREEN WANTED BY TOTTENHAM AND QPR AFTER QUITTING WEST HAM". Daily Star. London. Retrieved 13 June 2012. ↑ "QPR swoop for keeper Green". ESPN. 21 June 2012. Retrieved 17 September 2016. ↑ "QPR 0–5 Swansea". BBC Sport. Retrieved 17 September 2016. ↑ "Julio Cesar agrees QPR move from Inter Milan". BBC Sport. Retrieved 17 September 2016. ↑ "Rob Green victim of the Tony Fernandes QPR revolution". Daily Express. 1 September 2012. Retrieved 8 May 2013. ↑ "Sunderland 0–0 QPR". BBC Sport. Retrieved 17 September 2016. ↑ "QPR 1–1 Aston Villa". BBC Sport. 1 December 2012. Retrieved 17 September 2016. ↑ "Wigan 2–2 QPR". BBC Sport. 8 December 2012. Retrieved 17 September 2016. ↑ "QPR 2–1 Fulham". BBC Sport. 15 December 2012. Retrieved 17 September 2016. ↑ "Newcastle 1–0 QPR". BBC Sport. 22 December 2012. Retrieved 17 September 2016. ↑ "QPR 1–2 West Brom". BBC Sport. 26 December 2012. Retrieved 17 September 2016. ↑ "QPR 0–3 Liverpool". BBC Sport. Retrieved 17 September 2016. 1 2 "Games played by Rob Green in 2012/2013". Soccerbase. Centurycomm. Retrieved 17 September 2016. ↑ "Southampton 1–2 QPR". BBC Sport. Retrieved 17 September 2016. ↑ "QPR 0–1 Arsenal". BBC Sport. Retrieved 17 September 2016. ↑ "QPR's Júlio César likely to be sold this summer, says Harry Redknapp". The Guardian. London. Retrieved 8 May 2013. 1 2 "Games played by Rob Green in 2013/2014". Soccerbase. Centurycomm. Retrieved 17 September 2016. 1 2 Fletcher, Paul (24 May 2014). "Derby County 0–1 Queens Park Rangers". BBC Sport. Retrieved 17 September 2016. ↑ Moore, Joe. "Man City 6-0 QPR: Aquero hat-trick sends hapless Hoops down". Talksport. Retrieved 11 May 2015. ↑ Burnett, Rob (27 December 2014). "Revealed: How QPR's Eduardo Vargas correctly predicted where Alexis Sanchez would put his penalty to help Rob Green save it". Daily Mirror. London. Retrieved 13 April 2016. 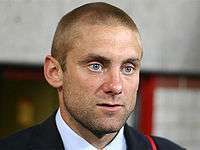 ↑ "QPR not playing Rob Green because of contract clause". Sky Sports. 12 March 2016. Retrieved 12 March 2016. ↑ "QPR claim opening victory". Leeds United F.C. 7 August 2016. Retrieved 7 August 2016. ↑ "Matchday: Fleetwood - Live!". Leeds United F.C. 10 August 2016. Retrieved 10 August 2016. ↑ "United too strong for Wednesday". Leeds United F.C. 20 August 2016. Retrieved 20 August 2016. ↑ "Happy to be here" Archived index at the Wayback Machine.. The Football Association. 30 March 2004. Retrieved 23 June 2007. ↑ "Owen does it again" Archived index at the Wayback Machine.. The Football Association. 1 June 2005. Retrieved 23 June 2007. ↑ "World Cup Squad" Archived index at the Wayback Machine.. The Football Association. 8 May 2006. Retrieved 23 June 2007. ↑ "Keeper Green set to miss finals". BBC Sport. Retrieved 15 September 2014. ↑ "Carson promoted to England squad". BBC Sport. Retrieved 15 September 2014. ↑ "Green gears up for playing return". BBC Sport. Retrieved 15 September 2014. ↑ "Injured Foster sent home" Archived index at the Wayback Machine.. The Football Association. 22 May 2007. Retrieved 23 June 2007. ↑ "McClaren names squad' Archived index at the Wayback Machine.. BBC Sport. 26 May 2007. Retrieved 23 June 2007. ↑ Yates, David. "Hammers keeper Robert Green pokes fun at England job". Daily Mirror. London. Archived from the original on 1 December 2008. Retrieved 28 April 2010. ↑ "Green called into England squad". BBC Sport. Retrieved 15 September 2014. ↑ "Green keeps it clean". West Ham United F.C. Archived from the original on 15 June 2009. Retrieved 15 September 2014. ↑ McNulty, Phil (10 October 2009). "Ukraine 1–0 England". BBC Sport. Retrieved 28 April 2010. ↑ "England crash in Ukraine". FIFA. Archived from the original on 13 October 2009. Retrieved 28 April 2010. ↑ "Official Players List" (PDF). FIFA. 4 June 2010. Retrieved 9 June 2010. ↑ "Capello defends goalkeeper delay". Professional Footballers' Association. 13 June 2010. Retrieved 13 June 2010. ↑ Phil McNulty (12 June 2010). "England 1–1 USA". BBC. Retrieved 13 June 2010. ↑ "World Cup 2010: David James will play against Algeria". BBC. 18 June 2010. Retrieved 19 June 2010. ↑ Phil McNulty (18 June 2010). "England 0–0 Algeria". BBC. Retrieved 19 June 2010. ↑ Sapa-dpa (5 October 2010). "Goalkeeper Green recalled to squad for Montenegro qualifier". Times Live. Retrieved 5 October 2010. ↑ "England Euro 2012 squad: Ruddy, Carroll & Defoe in, Ferdinand out". BBC Sport. Retrieved 17 September 2016. ↑ Phil McNulty. "Norway 0–1 England". BBC Sport. Retrieved 17 September 2016. ↑ "Robert Green's Kilimanjaro Climb". Justgiving.com. 20 June 2008. Retrieved 28 April 2010. ↑ "Woking Football Club". Woking F.C. 15 September 2009. Retrieved 28 April 2010. ↑ Smith, By Alan. "Deep thinker enjoys life on the big stage". Retrieved 6 June 2016. ↑ "Games played by Rob Green in 1999/2000". Soccerbase. Centurycomm. Retrieved 17 September 2016. ↑ "Games played by Rob Green in 2000/2001". Soccerbase. Centurycomm. Retrieved 17 September 2016. ↑ "Games played by Rob Green in 2001/2002". Soccerbase. Centurycomm. Retrieved 17 September 2016. ↑ "Games played by Rob Green in 2002/2003". Soccerbase. Centurycomm. Retrieved 17 September 2016. ↑ "Games played by Rob Green in 2003/2004". Soccerbase. Centurycomm. Retrieved 17 September 2016. ↑ "Games played by Rob Green in 2004/2005". Soccerbase. Centurycomm. Retrieved 17 September 2016. ↑ "Games played by Rob Green in 2005/2006". Soccerbase. Centurycomm. Retrieved 17 September 2016. 1 2 "Games played by Rob Green in 2006/2007". Soccerbase. Centurycomm. Retrieved 17 September 2016. ↑ "Games played by Rob Green in 2007/2008". Soccerbase. Centurycomm. Retrieved 17 September 2016. ↑ "Games played by Rob Green in 2008/2009". Soccerbase. Centurycomm. Retrieved 17 September 2016. ↑ "Games played by Rob Green in 2009/2010". Soccerbase. Centurycomm. Retrieved 17 September 2016. ↑ "Games played by Rob Green in 2010/2011". Soccerbase. Centurycomm. Retrieved 17 September 2016. ↑ "Games played by Rob Green in 2011/2012". Soccerbase. Centurycomm. Retrieved 17 September 2016. ↑ "Games played by Rob Green in 2014/2015". Soccerbase. Centurycomm. Retrieved 17 September 2016. ↑ "Games played by Rob Green in 2015/2016". Soccerbase. Centurycomm. Retrieved 17 September 2016. ↑ "Games played by Rob Green in 2016/2017". Soccerbase. Centurycomm. Retrieved 17 September 2016. ↑ "Green, Rob". National Football Teams. Retrieved 17 September 2016. ↑ Fletcher, Paul (19 May 2012). "Blackpool 1–2 West Ham". BBC Sport. Retrieved 17 September 2016. Wikimedia Commons has media related to Robert Green.